Despite only being in orbit a matter of weeks, Sentinel-3A has already delivered some impressive first images. 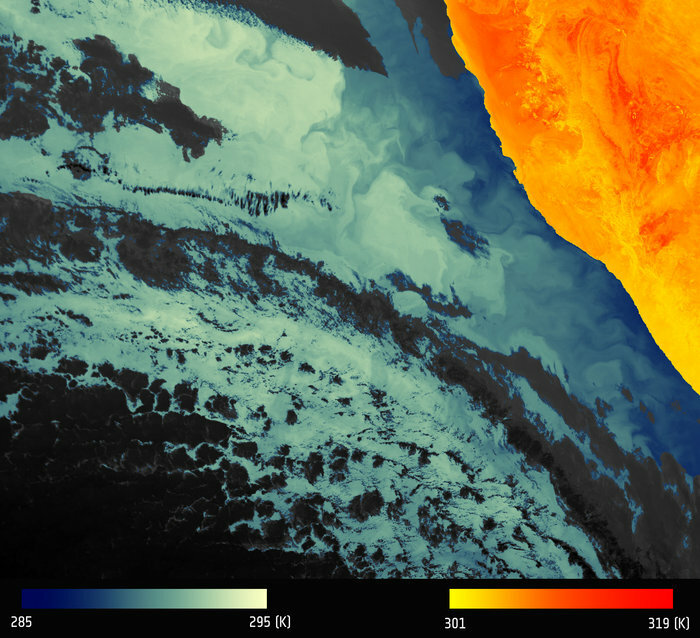 With the thermal-infrared channels now turned on, the satellite completes its set of firsts with a view of ocean features off the coast of Namibia. Arguably the most comprehensive of all the Copernicus Sentinel missions, Sentinel-3A carries a suite of state-of-the-art instruments to systematically measure the temperature of Earth's oceans, land, ice and atmosphere. Want to read the rest of the article? Then be sure to click here.